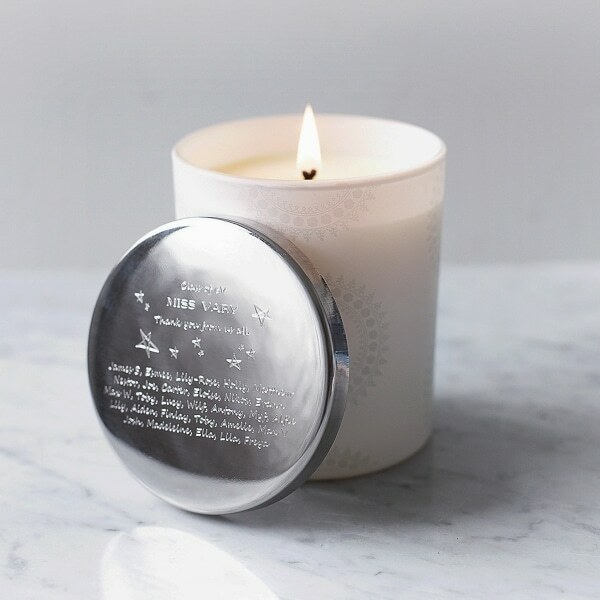 Our unique candle has a highly polished lid that can be engraved with your own message. We can engrave a thank you message along with the teacher’s name and all the names of the children in class. The message can be as short or as long as you wish – the size of the words will be scaled accordingly. 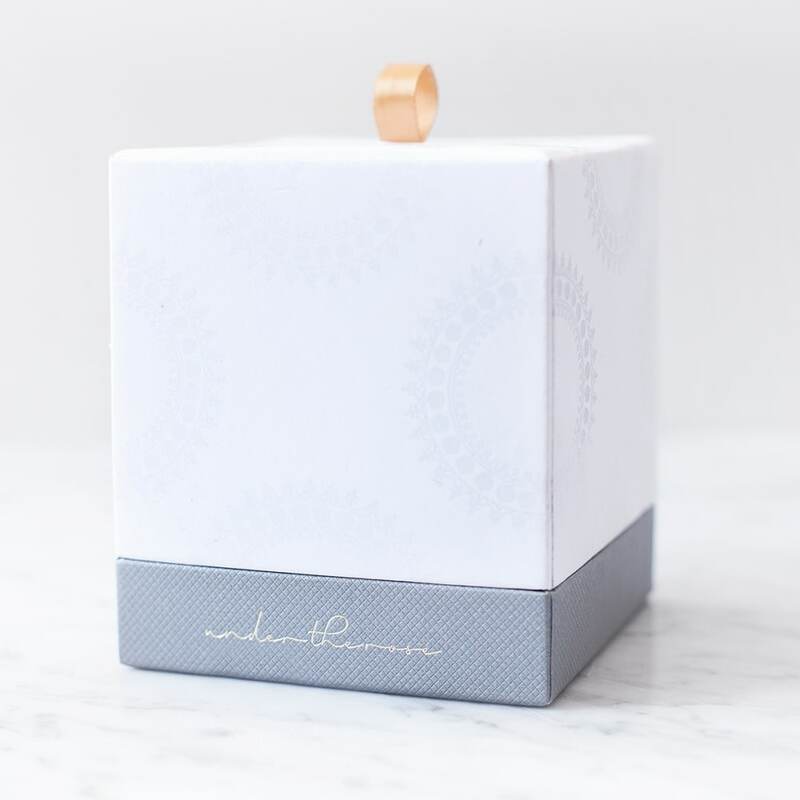 Hand poured in the UK the candle is scented with tuberose – an elegant floral fragrance – and comes in a matt white subtly decorated glass jar. A perfect gift for a teache to relax with at the end of the school year!. Once the candle has finished the holder becomes a useful and personal keepsake.